Mowing—the grass mower’s that we use are considered the most up to date equipment in lawn care. Our knowledgeable staff understands what mower or combination of mowers work best for different lawns, and we will ensure that your property looks great by making multiple passes over the grass if necessary. Trimming—trimming, sometimes referred to as “weed-eating,” is the process of knocking down grass that grows along the edge of sidewalks, against structures, and places that tend to be difficult to reach with a mower. Once mowing is completed, our crew trims all areas that need attention, ensuring that your lawn has a clean, manicured look. Clean-Up—using a leaf blower, we blow grass away from areas where clippings have accumulated while mowing, trimming, and edging. By doing this, we get debris off of porches, sidewalks, driveways, and patios. The end result is a beautiful looking lawn and zero work for you. Our crew understands that lawn mowing is about a lot more than just grass cutting. We understand the importance of proper mowing and trimming and the effect that it has on weed issues and the overall healthiness of your grass. That’s why we use the most up-to-date cultural and mechanical lawn practices to ensure your lawn has deep roots, is healthy, and has better disease resistance. We strive to achieve a professional, clean, well-maintained look for your property. 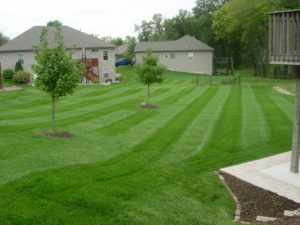 Big or small, commercial or residential, all lawns receive the same attention to detail. 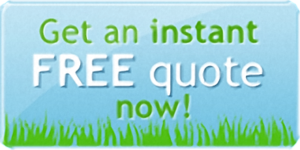 Grizzly Bear Lawn Care provides quality, affordable services meant to keep your property in the best condition. For the best local lawn mowing services that Columbia has to offer, contact the experts at Grizzly Bear Lawn Care at 573-256-TURF.